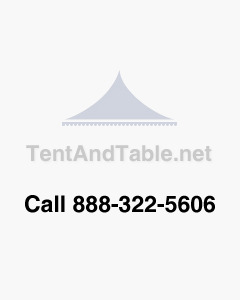 This 60' x 120' white-colored commercial grade block-out tent top is designed to replace your rental party tent tops. This sectional top comes in four pieces, with a 30' long by 60' wide left end, right end, and 2 middle sections, and also includes 2' x 13" ratchet straps. Please note: This listing is for only the tent top and straps, and does not include the frame or stakes. 48" x 40" x 60"